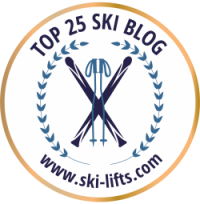 October Skiing: Is It Worth It? 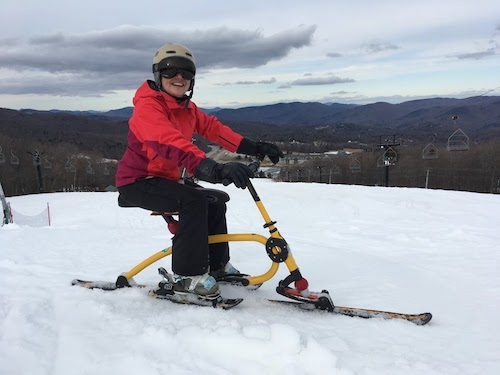 Have you ever ski biked? I have — and it’s a blast! I think my ears are ringing. 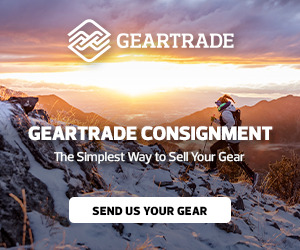 It’s no surprise, since it’s just two days after the 2016 Audi FIS World Cup at Killington Mountain Resort, and I think every cow bell on the planet was there. And why not? 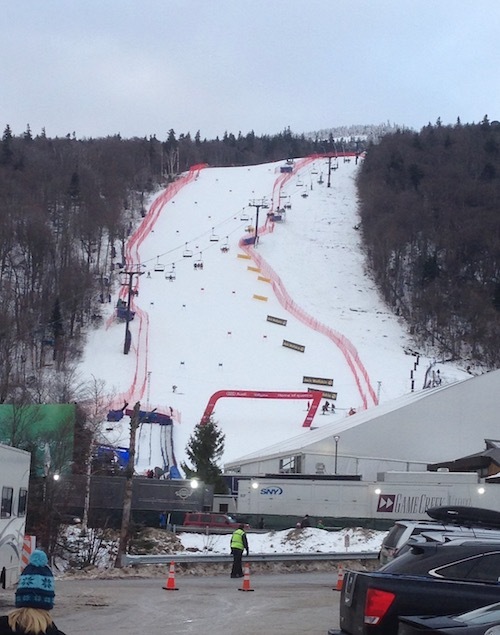 This was the best of the best in ski racing, only half an hour from home. How could I not attend? 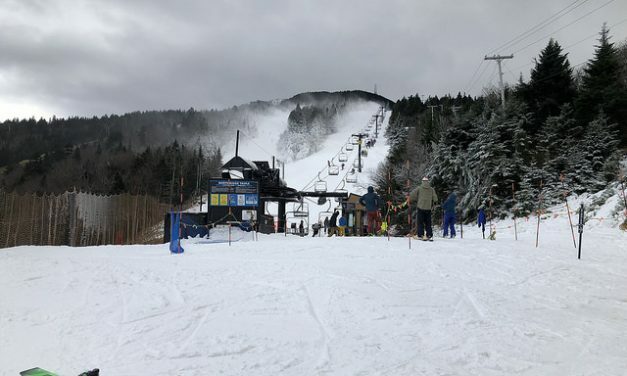 This was the first World Cup Alpine race in New England since 1991 (Waterville Valley, NH), and the first in Vermont since 1978 (Stratton Mountain). And oh yeah, it was the first World Cup I’d ever attended, too. 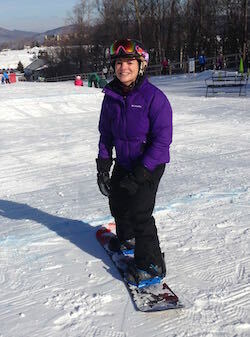 Learning to board: Yes, really, I gave it a try. 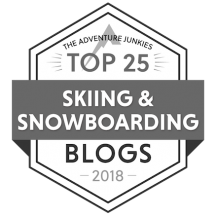 How is it possible — the Ski Diva, standing on the lip of a half-pipe (albeit an extremely mini one), strapped into a snowboard and getting ready to ride? Has the world gone crazy? Has she lost her mind? Is she going over to the Dark Side? And what’s next — baggy pants pulled down to her knees? No, no, no, and not a chance. I was simply doing research for my blog. Learning to ski, new style.